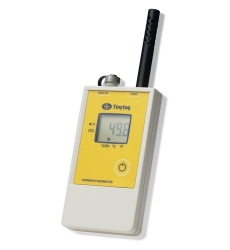 The TH-2500 is a portable device for spot reading of temperature and relative humidity. It can record as a data logger, monitoring temperatures from -20 to +50°C, and RH from 0 to 100%. Readings are shown on a display, switchable between °C and °F.